They call me Chuck. I live in Des Moines, Iowa. I sling code for a living. This is where I blog about it, very sparsely. I’ve got a full time gig I plan to stick around in until they decide they don’t like me anymore. I began working as a programmer professionally in late 2005, a few months before receiving my Bachelor of Science in Computer Science from University of Northern Iowa. I nerd out about things like object-oriented design and functional programming. Trying new things is one of the most exciting parts of the job, but I’ve also a respect for the tried and true and a healthy suspicion for using the new and shiny just for its own sake. I’m not above a quick hack when it’s the right thing, but I get a warm feeling from leaving code cleaner and more maintainable than I found it. I do a bunch of weird music too. I’m heavy into noise and the avant-garde in general. I have another blog about that stuff. I play a mean bass guitar and could probably do some session work if you want. I can improvise, learn songs quickly or work up my own parts, and am pretty handy around a mixing board. 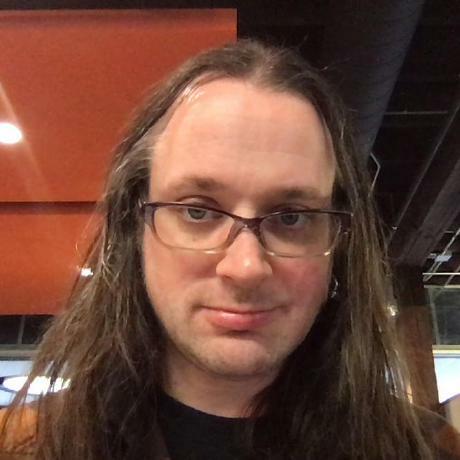 I’ve blogged obsessively at various times in my life, usually opinionated editorial kinds of things on software development, music, or politics, and have done quite a few music reviews both on my own sites and others’. I love researching things. I have no credentials to speak of. However, I believe that whatever talents I have in programming and music stem from being a writer by nature, as music and programming are, as I see it, forms of language.